When the berth is unoccupied, each chafe chain may be supported by flotation devices. Offspring International offers a range of chain support buoys with a typical reserve buoyancy of 900kg up to 5000kg – in addition, our flexible manufacturing process allows us to produce products to suit our customers exact buoyancy requirements. 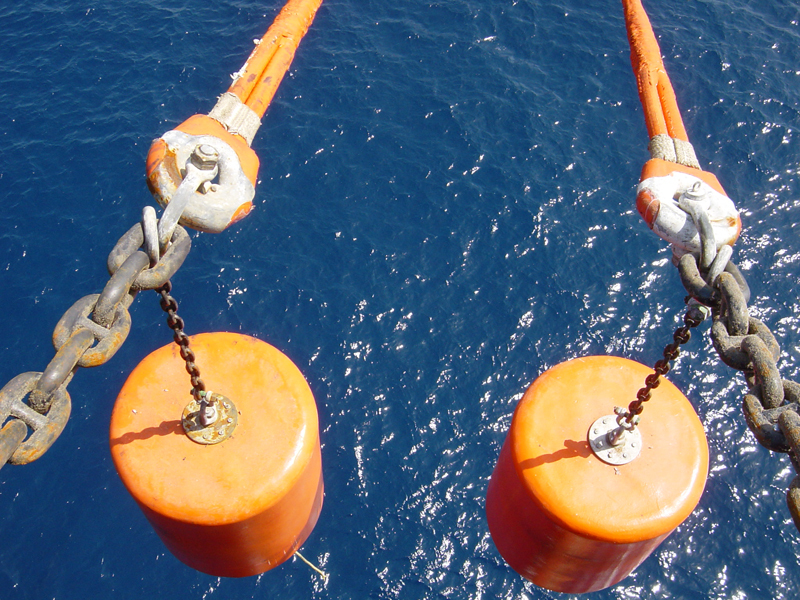 The buoys can be supplied with swivel eyes top and bottom for connection by a short length of chain to the end link of the chafe chain, adjacent to the hawser. Alternatively the buoys can be supplied as a chain through / locking plate arrangement chain support buoy. 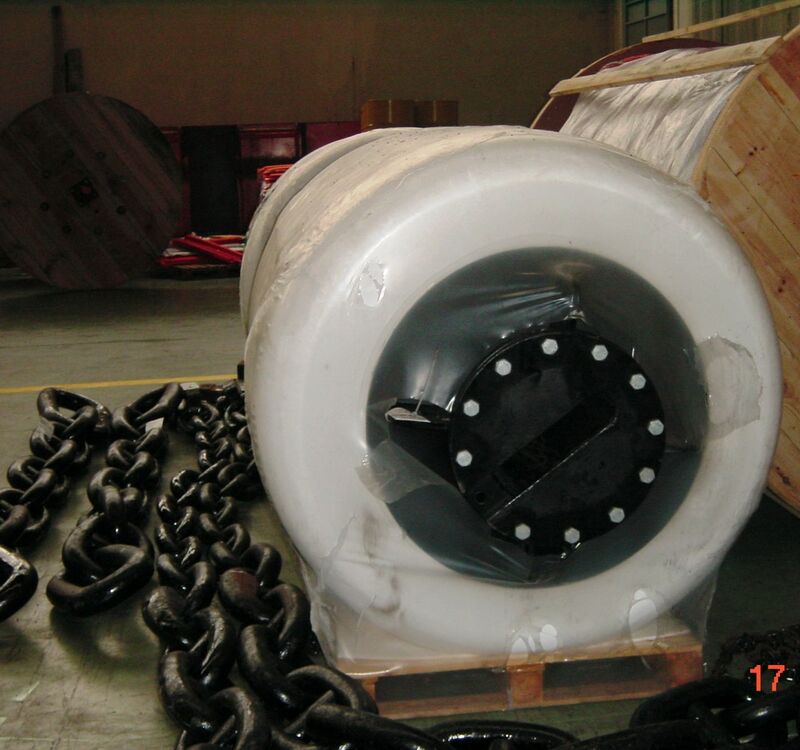 Our chain support buoys have a reserve buoyancy equivalent to at least 20% of the weight in air of the material supported. We also supply pick-up buoys with reserve buoyancy of up to 500kg.